2016 - a year of give and take for landlords! Next ArticleIf you havent' ever considered a bungalow - take a look at these! Given the phenomenal number of media headlines this year that have been predicting doom and gloom for landlords, you’d be forgiven for wondering whether buy to let is still a good financial investment, now and into the future. So we thought it would be helpful to put together what’s worked well for landlords in 2016, outline the challenges that lie ahead and look at how to deal with them in 2017 - and beyond. What was taken from landlords in 2016? Landlords are currently suffering two main losses. Firstly, there has been an increase in the cost of letting, as a result of new rules and regulations that have been introduced over recent years, such as: Right to Rent checks and ensuring smoke alarms and (where required) carbon monoxide alarms are fitted in rental homes in England; landlord registration and licensing (including agents) in Wales; and all tenancies (not just new ones) requiring a copy of an Electrical Installation Condition Report (EICR) by and from the 1st December 2016, in order to let legally in Scotland. The second loss for buy to let investors is the increase in taxation. This year has seen an additional 3% stamp duty land tax on second homes and the loss of the automatic ‘wear and tear’ allowance each year, and from April 2017 the reduction in mortgage interest relief for higher rate tax payers begins, alongside the loss of the ability to deduct finance costs - such as mortgage interest or admin fees - from rental income, which applies to everyone. The impact of all these changes together could, for some, increase the tax paid on rental income by three or more times what they’re currently paying. Although things have become tougher financially for landlords and investors, there are still good reasons to be cheerful, thanks to the growth of property prices in most areas this year. Some have also seen an increase in rents which, although not excessive, have been a welcome boost at a time when landlords need to mitigate their increased costs and taxation. Overall, average property prices have risen in the last year to £294,351, a 3% increase, equating to average capital growth of £7,861. Rents have also risen by 8.7% year on year in England and Wales, averaging £887 per month, giving a typical yield of 4.7%. It’s also good news that tenant arrears, a serious problem for investors, have now fallen well below the 14.6% recorded in February 2011, currently affecting around 9.8% of tenancies. Things continue to change, so now is an ideal time to review your objectives and future financial plans. As we head into the Christmas holidays, it’s well worth reviewing your property investments to make sure you understand exactly how this ‘new world’ of buy to let will impact on your existing property or portfolio, and therefore your future strategy. If you currently earn most of your income from being a landlord, you’re likely to have already made good money over time from property and your main consideration may be whether to continue investing. One piece of good news from the Autumn Statement, which many investors haven’t yet been exposed to, is the huge investment in infrastructure over the coming years, all of which can offer great possibilities for investors to earn good money from property looking forward. The likes of the new HS2 train line, additional Heathrow runway and Cambridge-Milton Keynes-Oxford corridor investment all present opportunities for well-considered property acquisitions. These locations will also see additional rental demand for several years, as infrastructure projects require temporary workforces from both across the country and overseas. In addition, most forecasters continue to suggest that, despite the Government’s apparent intention to ‘crack down’ on the growth of the Private Rented Sector via landlords, the number of people who want to rent continues to increase. It’s a fact often overlooked that, although some people in the PRS are only renting because they can’t afford to buy, many more are renting because it suits their circumstances – as is shown by our own 2016 Tenant Survey. Tenants may need the flexibility of rental accommodation, may not be able to get mortgage finance or their employment status may simply mean they’re best catered for by the rental sector. And, given the increased desire for financial flexibility that comes with uncertain circumstances, such as we’re experiencing now with Brexit, together with tougher financing rules and ever more flexible working environments, renting suits a growing number of people. As such, the number of tenants looking for homes is likely and forecasted to grow so, while the new legislative changes are likely to hold back the supply of rental properties, existing landlords should continue to benefit from natural market growth. What do you want from the property you let? Over the years before the credit crunch, we saw excellent property returns through natural price and rental growth, year after year. However, since the recession, we haven’t been able to rely on this happening and different regions and even property types are now delivering very different investment returns. So to best understand whether you should hold, alter or sell the property you let, you need to revisit your original objectives for investing and check whether your portfolio is delivering what you need. With the forthcoming changes to the way buy to let is taxed, it’s wise to consult an independent financial advisor who is regulated and qualified to help you assess your financial needs – asset and income-wise – and understand how near or far away you are from achieving them. Can property still deliver a return in retirement? 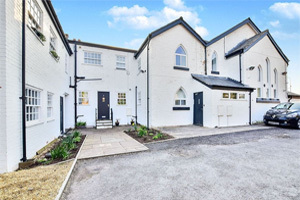 If you have invested in property to boost your pension, the outlook is positive because of the two key ways in which property still has the potential to offer a good return. Firstly, you can gear the investment, which means that you can buy an asset worth a lot more than the capital you have to invest, then benefit from all the additional equity if property prices rise. You keep the capital growth on the bank’s money as well as your own, while the rental income helps fund that additional mortgage borrowing. That helps you secure far better returns than if you were to invest with 100% cash, although it does carry more risk. Secondly, bar taking into consideration market fluctuations, property investment tends to be more flexible than a traditional pension, because there are no limits on the age at which you can cash in your property investment, nor on the amount you can withdraw. However, you are likely to pay more tax, which is why you should always consult a property tax specialist and independent financial advisor before making any investment, to ensure it is the right financial move for you. Is it possible to earn an income from just one property? One property alone is unlikely to make a huge difference to your income in the short term, but it can deliver great capital growth over time - especially when geared with a mortgage - which is why buy to let should always be considered a long-term investment of around 15-20 years. Investing purely with cash usually means you’re not taking best advantage of the returns buy to let can deliver so, if you do just have one property, are working and have a pension, it would be wise to check out what your income and capital ‘gap’ is into the future, to make sure you’re investing your money in the most tax-efficient way by taking independent financial advice. If I’m letting my own home temporarily, is it worth it? Letting a property in today’s market is complex, meaning you can no longer up sticks to a new home and simply let your old one to a friend, neighbour or colleague – either short or long term. There are an estimated 400+ rules and regulations that you and your property need to comply with to make sure you let legally and safely to tenants. It has become a regular occurrence for landlords to be fined anything between hundreds of pounds and tens of thousands of pounds for not adhering to regulations, such as ensuring gas safety certificates are up to date and any licences required are secured, even if the property is only let to a few people. So, if you’re considering letting your own home or are doing so already, do come and talk to us at Reeds Rains so we can ensure you understand the steps you need to take to stay legal. In addition, do seek some independent financial advice on how the latest changes to taxation may affect the financial viability of letting your own home.